The first update for Total War: WARHAMMER II hits via Steam auto-update on 26/10/2017 and contains a host of changes, tweaks, improvements and fixes (please see below for details). 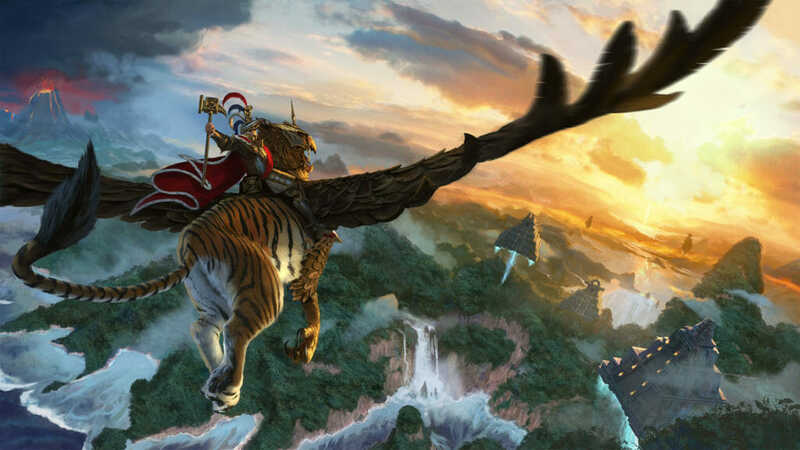 Mortal Empires, the new grand-scale campaign encompassing the landmasses of the Old World and the New World, will become available as the update goes live. Download it for free here! Mortal Empires requires ownership of both Total War: WARHAMMER and Total War: WARHAMMER II to play. Once downloaded, Mortal Empires will appear as a new playable campaign in the WARHAMMER II campaigns menu, alongside the Eye of the Vortex campaign. Including all the core Races and Legendary Lords from both games, Mortal Empires also allows you to begin a campaign as any DLC or Free-LC Legendary Lord from the first game. Going forward, it will also encompass any DLC/FLC Legendary Lords that are subsequently released for WARHAMMER II. The one exception is the Norsca Race Pack (Wulfrik the Wanderer and Throgg the Troll King). These have yet to be implemented and will become playable in a future update. 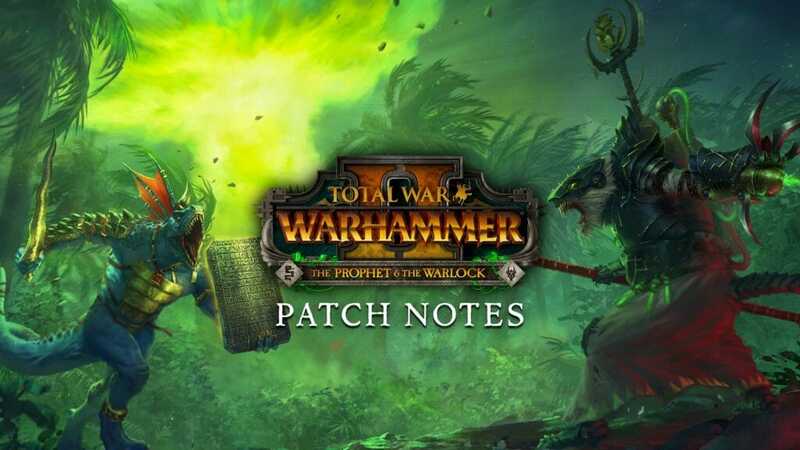 The same update will also implement the 30th Anniversary Regiments of Renown, Old World Legendary Lords skill adjustments, and other changes and additions which first appeared in the Foundation Update for Total War: WARHAMMER 1. If you’ve limited space on your primary hard drive (for example, if you’re using an SSD with limited space as your primary drive, with a secondary mechanical drive for mass storage), a useful workaround we’ve found is to setup a secondary Steam Library folder on your storage drive. Provided you have enough space on your primary drive for the final installation (see ‘post-patch installation footprint’ above), Steam will automagically utilise any other registered Steam folders on other drives as a download location for the install process. To set up a secondary Library folder in Steam, Click Steam->Settings->Downloads and click the Steam Library Folders button. From here you can create extra Library folders on any of your drives. This update also introduces the Blood for the Blood God Effects Pack to Total War: WARHAMMER II. This is free for players who bought the pack for Warhammer 1. Players who own WARHAMMER II but not the first game, and therefore not the first Blood for the Blood God Pack, will need to purchase the pack to access its grisly effects. Blood and gore effects can be toggled on and off in the advanced graphics options menu. Hail Hydra! This update comes with a number of tweaks, improvements, changes and fixes to many areas of the game, along with our first major balance-pass for the WARHAMMER II core races. We’ve also made some tweaks to the Free For All MP mode, added a host of new FFA maps, and introduced new buildings and dilemmas for the different Races. CHANGED Army losses morale penalty to not trigger in FFA battles. This change keeps players involved in the match for longer. CHANGED Liber Bubonicus quest battle time limit. Added 3 minutes. FIXED an exploit where you could cast some spells repeatedly for free if giving a move order during spell wind up. YUKANNADUZAT! CHANGED UI for swapping between lores if your caster had multiple. This is to avoid overlap with army abilities. Tyrion: +10 weapon strength, percentage of ap damage increased to 45%.